Teslas might be ‘practical’ and ‘fast’ and other useful things, but they’re also a little nouveau riche. If you want real electric-car class, you’ve got to hark back to 1905, and this very expensive vintage golf cart. 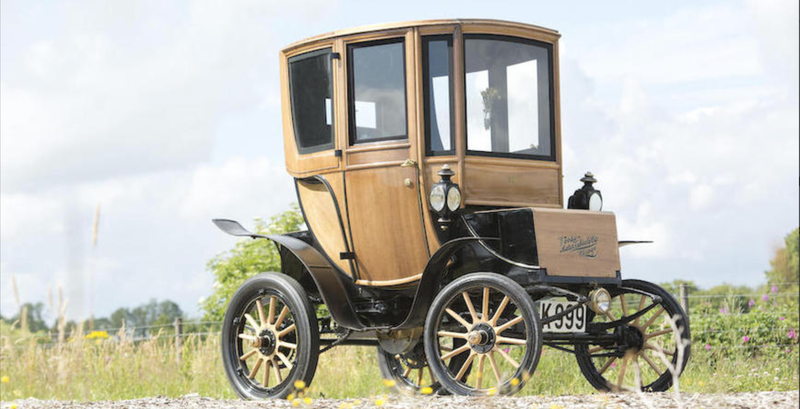 The 1905 Woods Electric Queen Victoria Brougham — described by Bonhams as still functional and recently driven — was one of the early electric car pioneers. Equipped with an open-air cab and a curb weight of 2,600 pounds, it was the height of style for anyone with $3,000, or $80,000 in today’s money. The car, which was just sold by Bonhams for $95,000, is the only surviving model. It was last sold in 2010 for $77,000, so if you’re looking for a stylish investment you can also drive, it’s a pretty safe bet.